Tharla go leor ceistiúcháin in Éirinn sna seascaidí maidir le polasaithe éagsúla an stáit, polasaithe eacnamaíochta agus polasaithe teanga san áireamh. Ba thréimhse chorraithe í i stair shóisialta na tíre agus ba léir do Chumann na Sagart (a bunaíodh sa bhliain 1916) go raibh gá le gléas misnithe éigin do phobal na tíre. 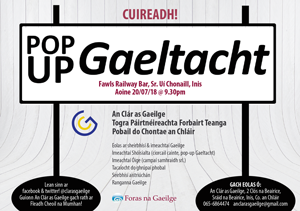 Thángthas ar choincheap comórtais, idir phobail, i gcur chun cinn na Gaeilge agus bunaíodh an comórtas Glór na nGael. Bunaíodh Glór na nGael faoi chomhéarlamhacht Uachtarán na hÉireann, Éamon de Valera, agus an Chairdinéil John Dalton, i gcuimhne ar ghlór na ndaoine a chuala Naomh Pádraig agus iad ag glaoch air chun filleadh ar Éirinn. Reáchtáileadh an chéad chomórtas i mbliain chomórtha fhilleadh Phádraig ar Éirinn, 1961. Tá Inis páirteach i gComórtas Ghlór na nGael ó 1981, agus tá éirithe go han-mhaith leis an mbaile ann. An Gradam Náisiúnta buaite 4 uair (Nach bhfuil déanta ag baile ar bith eile in Éirinn) 1983, 1990, 2003 2007. 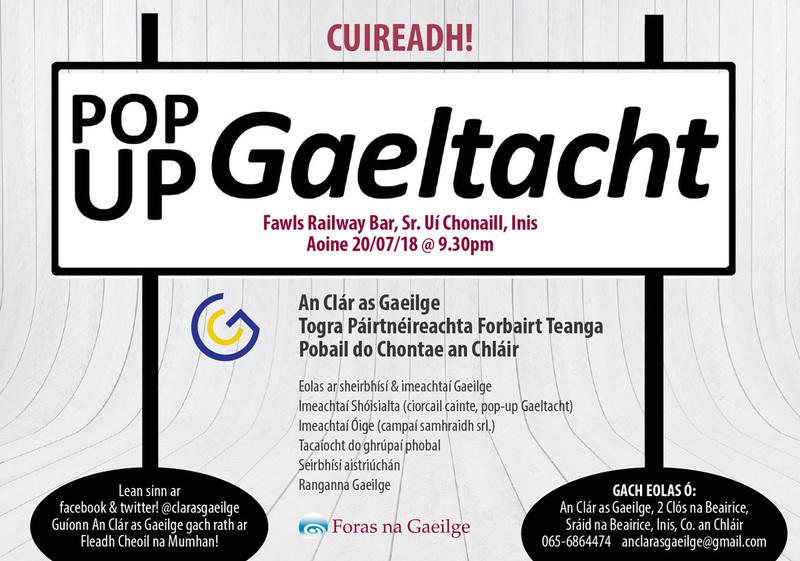 Déanann An Clár as Gaeilge Teo comhordú ar an gComórtas in Inis agus mealann sé grúpaí agus eagraíochtaí a bheith páirteach ann.